Pioneers in the industry, we offer frappe milk cold coffee, frappe cold coffee, frappe vanilla cold coffee and frappe mocha cold coffee from India. 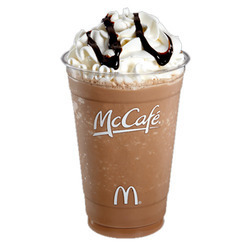 We are successfully engaged in offering the finest quality Frappe Milk Cold Coffee. This range completely provides a refreshing cold coffee taste with a nice dairy. The customer can avail this product from in aluminum pouches & cartons as per their needs. Our product is made up of ingredients like milk solids, sugar, instant coffee (70 % coffee, 30 % Chicory), Anti-Caking Agent (E 551). Recommended Usage: Add 16 gms. to 100 ml. of chilled water and blend in high speed mixer till well dissolved. With the assistance of our skilled professionals, we are engaged in providing Frappe Cold Coffee. Our product is processed under hygienic condition using advanced technology as per the international standards. This product provides a refreshing coffee taste with Dairy & Coffee notes in the background. It contains added flavors like natural and nature identical flavoring substances. Our offered product is hygienically packed and is available at affordable rates. 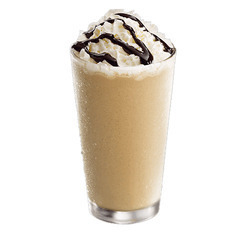 Backed by a team of experienced professionals, we are offering Frappe Vanilla Cold Coffee. 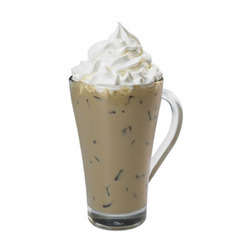 This product provides a refreshing cold coffee taste with milk & vanilla notes in the background. It is a light brown/creams free flowing powder (a few soft lumps are permissible). We process this product using ingredients like Sugar, Malto Dextrine, Instant Coffee (With Chicory 70:30), Cocoa Powder, Stabilizer (E 415), Anti-Caking Agent (E 551). 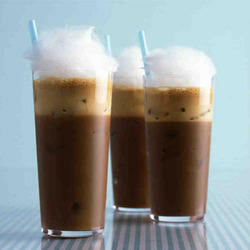 We are the flagship manufacturer, exporter, wholesaler and supplier of high-quality Frappe Mocha Cold Coffee. Provided product provides a refreshing cold coffee taste with a nice milk & chocolate note in the background. Our product is made up of ingredients like sugar, malt dextrin, instant coffee (With Chicory 70:30), cocoa powder, stabilizer (E 415), anti-caking agent (E 551). Moreover, we provide it in qualitative packages to retain its freshness and aroma for longer time periods. Recommended Usage: Thick Frappe: Add 12.5 gms. to 75 gms. ice cream 25 ml. of chilled milk. Thin Frappe: Add 12.5 gms. to 100 ml. of chilled milk. Looking for Frappes Cold Coffee ?